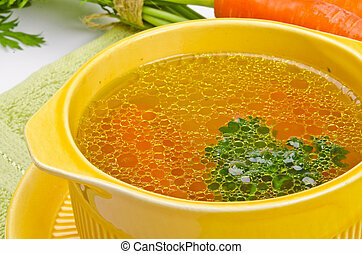 Clear broth. 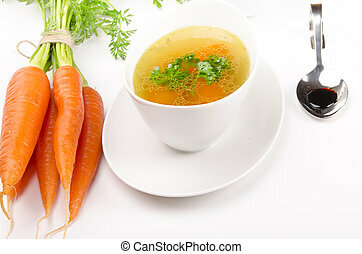 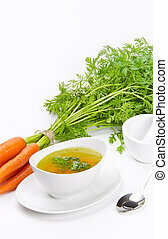 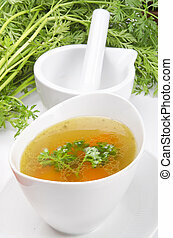 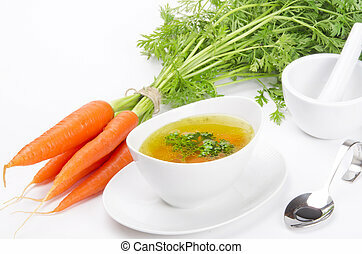 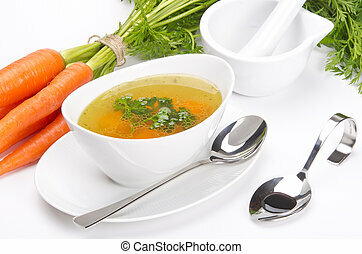 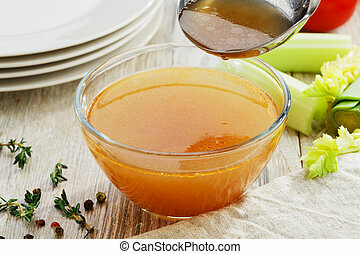 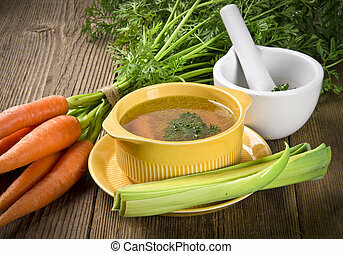 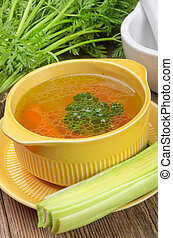 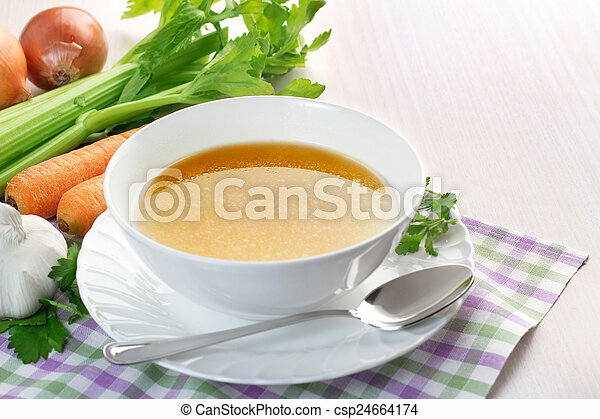 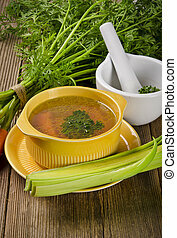 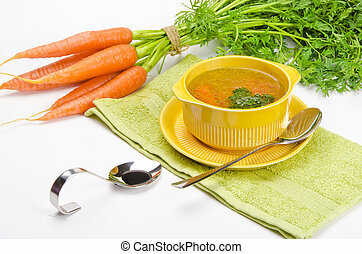 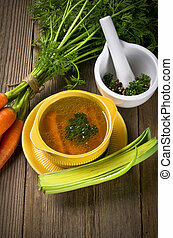 Bowl of broth and fresh vegetables on wooden table. 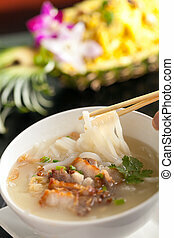 Closeup of a person eating Thai style crispy pork rice noodle soup from a bowl with chopsticks. 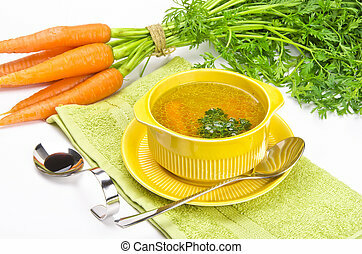 Pineapple fried rice in the background.